Photographer(s) Appreciation: Today’s photograph of Helianthus nuttallii was taken by Anne Elliott at Griffith Woods in Calgary, Alberta. This photo was shared via the Botany Photo of the Day Flickr Pool. Helianthus nuttallii, or Nuttall’s sunflower, is found across northern, central, and western North America. There were three subspecies. Two of these are common, with distributions overlapping at the core of their ranges: Helianthus nuttallii subsp. nuttallii, has a more western distribution while Helianthus nuttallii subsp. rydbergii, extends further into eastern North America. 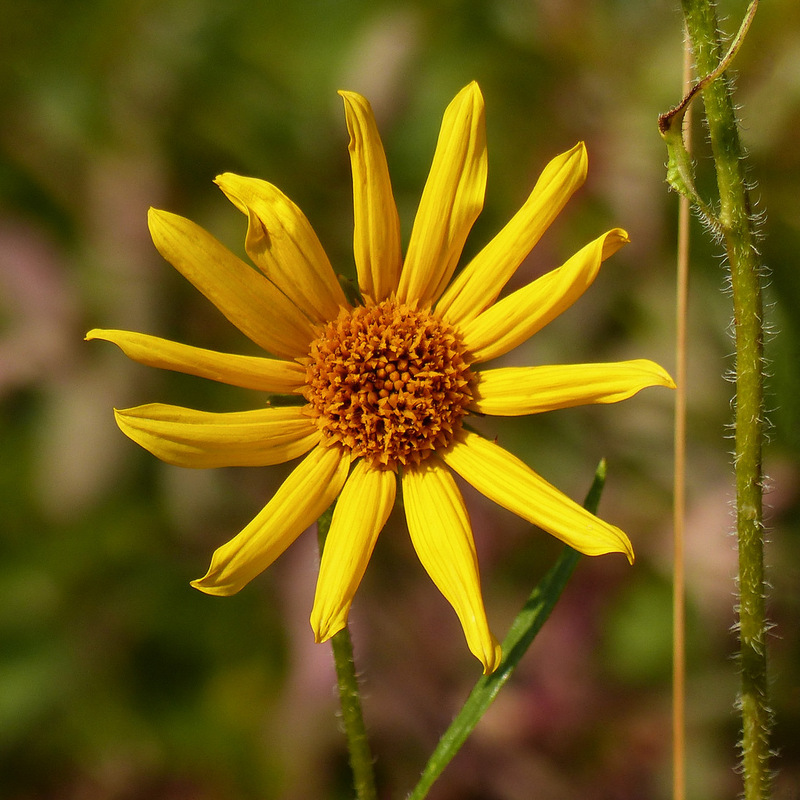 The third subspecies, Los Angeles sunflower, is presumed extinct. Reports of its rediscovery in the early 2000s instead turned out to be the discovery of a new species, Helianthus inexpectatus. Nuttall’s sunflower is a perennial herb that can grow up to 2m tall with yellow inflorescences that are revealed in mid-summer. It is found in moisture-rich fields and meadows. Generally (though not always), members of the Asteraceae are characterized by composite inflorescences consisting of disk flowers located in the centre of the inflorescence surrounded by a set of ray flowers (in today’s photograph, the yellow petal-like structures ringing the structure). Helianthus nuttallii ray flowers can measure 5cm long. Helianthus nuttallii attracts a number of pollinators, including native bees, flies, wasps and beetles. The dense cluster of pollen-producing flowers and flat shape provides readily available sources of both pollen and nectar. Hi Christine, that’s not something I can grant permission for. Please contact the copyright holder (see above the photo): annkelliott@Flickr aka Anne Elliott. If you have a Flickr account, you can use the internal Flickr mail system to reach her. Great that you asked, though. Too many would not. Thanks for replying, Anne–and a personal thank you for always being so generous.